At about 2 a.m. on April 21, 2010, a convoy of gunmen working for the Zetas drug cartel, one of the most violent drug trafficking organizations in the world, rolled into Monterrey, Mexico, a wealthy, bustling city considered that country’s commercial capital. With brazen efficiency, they set up roadblocks at all major thoroughfares, then sent a convoy of sport utility vehicles downtown, encircling a Holiday Inn. The heavily armed men, some wearing ski masks, swarmed into the hotel’s lobby and rushed directly to the fifth floor, bursting into every room and rousting the guests from their beds. The gunmen questioned the guests, then separated four of them from the rest: a marketing executive at an eyewear company, a chemical engineer for a cosmetics manufacturer, a shoe salesman expecting his first child, and a college professor who was the mother of two. Then the four were loaded, along with the hotel’s receptionist, into the gunmen’s vehicles and driven away. None of the hostages has been seen since. All are presumed dead. For years, their relatives and friends begged for answers. Why were their loved ones — ordinary middle-class Mexicans with no known criminal ties — targeted in this spasm of drug violence? The marketing executive’s family futilely negotiated and paid a ransom before the Zetas cut off contact. Mexican authorities initially insinuated that the victims had brought on their own demise, adding insult to grief. The college professor, they alleged, may have been involved in a romantic relationship with one of the Zetas’ rivals. And they speculated that the marketing executive, who had managed to lift his family into the upper middle class, might have had some connection to the drug trade. Without any credible explanations for why the Zetas would move military-style through a major metropolitan city to kidnap random guests at a budget hotel, some of the people close to the victims began to believe that too. Indeed, it wasn’t. And one law enforcement agency knew that for sure: the U.S. Drug Enforcement Administration. U.S officials describing for the first time what happened at the Holiday Inn said up until the day before the inexplicable kidnappings, the DEA had been running a surveillance operation out of the Holiday Inn. Staying at the hotel were several members of the Sensitive Investigative Unit (SIU), a team of Mexican federal police officers specially trained and vetted by the DEA. The team had been working undercover, trying to track the movements of a Zetas leader named Hector Raul Luna, who was known as “El Tori.” But Luna found out about the operation and sent his gunmen to the Holiday Inn to shut it down. The DEA didn’t hang around to figure out how the tables had been so violently turned. It evacuated the SIU officers from Monterrey, and never looked back at the innocent people who weren’t so lucky. The agency never revealed its role in what had happened to either local or federal authorities. It didn’t offer to help investigate the incident, or to use its surveillance capabilities to track the kidnappers. Nor did it turn its scrutiny inward to figure out whether the intelligence leak that had drawn the Zetas to the Holiday Inn had come from within the SIU. The DEA’s connection to the Holiday Inn attack, which has not been previously reported, was not an isolated incident. A deeper look at the agency’s Mexican SIU has found a decade of problems that have cost people’s lives. In June, ProPublica and National Geographic published a detailed investigation of a 2011 massacre that occurred in and around a small Mexican ranching town called Allende, less than an hour’s drive from the Texas border. The rampage there, like that in Monterrey, was also carried out by the Zetas, and was sparked, ProPublica determined, by a leak of intelligence provided to the SIU. The Allende death toll, however, was far greater. Victims’ advocates say as many as 300 people are dead or missing. ProPublica found evidence of as many as 60. In addition, according to interviews with numerous current and former DEA agents, the SIU itself has been plagued by infiltrations and attacks. Since 2007, most of the unit’s Mexican supervisors have either been compromised by payoffs and bribes from various drug traffickers, or killed in ways that strongly suggest they were inside hits. One of the supervisors, Ivan Reyes Arzate, was indicted earlier this year in a federal court in Chicago on charges of sharing sensitive information with drug traffickers. In an interview, Reyes’ attorney strongly denied the charges against his client. The DEA however, had suspected for years that Reyes was dirty, as were other people in the SIU. But time after time the agency calculated that the benefits of the program outweighed the costs. And it has kept those costs secret from the Mexican families and American taxpayers that might disagree with that calculation. This examination of the DEA’s SIU program in Mexico is based on interviews with 23 current and former DEA agents who are deeply knowledgeable about the program, including several who served in senior positions. They would only speak on the condition of anonymity because they were discussing sensitive matters without the agency’s consent. Mexicans tout Monterrey, with over 4 million residents in the metropolitan area, as their country at its most modern. Surrounded by mountains in the northeastern Mexican state of Nuevo Leon, it’s the poster-place for free trade, with a per capita income far higher than the rest of the country and a semi-arid landscape dotted with golf courses, colleges and the Mexican headquarters for companies like BMW, Mercedes Benz, Boeing, General Electric and Heineken. But everything that makes Monterrey ideal for legitimate business — its access to major north-south highways and its proximity to the United States border — is equally attractive to the drug trade. In 2010, the Zetas had a lock on it. Founded by former Mexican military officers, the Zetas ran an extensive counter-intelligence system, with scouts and informants throughout the city, according to current and former DEA agents. The cartel also had sources at high levels of the Mexican federal police, including, it is believed, the SIU. One of those sources alerted the cartel about some suspicious activity at the Holiday Inn. The DEA agents who spoke about the incident said it was unclear whether the Zetas were told that there were Mexican federal police officers at the hotel, or just that there were people who looked like law enforcement of some kind. Either way, the Zetas dispatched a group of gunmen to eliminate the perceived threat. But on this occasion, the cartel’s counter-intelligence capabilities only went so far. A day before the attack, unbeknownst to the gunmen, a logistical misstep had forced the members of the SIU to move to a different hotel. The SIU hadn’t reserved rooms at the Holiday Inn for enough days to cover the operation, and their rooms were no longer available. By the time the Zetas’ gunmen arrived, the SIU members were gone and the traffickers scooped up four guests that vaguely fit the same profile. When they discovered their mistake, the Zetas tried to extract a small win. One of the kidnappers telephoned Anabitarte later that same day to demand a ransom for his friend and employee, Luis Miguel González. Anabitarte wired the kidnappers the $3,000 they demanded. The next day, they asked for $140,000 more. The family said they needed a guarantee that González was still alive. Pay the money the kidnappers said, and González would be home by the weekend. The family deposited the money in a bank account as the kidnappers had instructed. But González was never released. When DEA agents in Monterrey and Mexico City learned about the attack on the Holiday Inn, they scrambled to get the SIU officers back to Mexico City as quickly as possible, according to current and former agents knowledgeable about the incident. The members of the unit were working undercover, but were hardly inconspicuous. Their accents and clothing made it clear they were from out of town, one agent said, and could easily have caught the attention of any hotel staff moonlighting as cartel scouts. Even more astonishing in hindsight, the SIU members used personal credit cards to secure their rental cars and hotel rooms, the agent said, so their identities wouldn’t have been hard to trace — an operational flaw that was mentioned in a 2010 assessment of the SIU program conducted by a private contractor. Other agents acknowledged, however, that the Zetas could have just as likely been tipped off by someone already on their payroll; either a mole inside the unit or a senior leader of the Mexican federal police. There was plenty of evidence by that time that the unit was leaky. Three years earlier, the SIU supervisor at the time had alerted the DEA that the Zetas were offering him huge bribes for information, and that he was afraid he was going to be killed for refusing them. In a meeting, Rubén Omar Ramirez told a senior DEA official that he would lay low for a while in hopes that the Zetas would eventually lose interest in him. He was killed the next day. A former DEA official knowledgeable about the murder said that Ramirez was at an SIU safe house in Mexico City when he was summoned to a meeting with commanders of the Mexican federal police’s anti-drugs division. On the way to the meeting, two gunmen on motorcycles intercepted his vehicle and opened fire. After Ramirez and Velazco were killed, another senior Mexican federal police official who helped oversee the SIU, Victor Gerardo Garay, was fired from the federal police department on charges of corruption. A senior DEA official who worked in Mexico at the time said the agency had caught Garay on wiretaps seeking bribes from Colombian drug traffickers. The senior official said that an SIU member named Edgar Enrique Bayardo agreed to testify against Garay, and was put into protective custody in Mexico. Garay spent four years in prison, but eventually was acquitted of the charges against him. Bayardo, however, was assassinated at his favorite Starbucks in Mexico City in 2009. Current and former DEA officials knowledgeable about his killing said that he, like Ramirez, had been summoned to the coffee shop by a phone call from someone he thought he could trust. Ivan Reyes Arzate took over as supervisor of the SIU in March 2010. The Zetas’ attacked the Holiday Inn one month later. It’s unclear whether the two events are connected. The charges filed in Chicago against Reyes say he accepted bribes from traffickers allied with the Beltrán Leyva brothers. The DEA suspects the brothers had ordered the murders of the previous SIU supervisors. In addition, the Beltran Leyva brothers were allied with the Zetas. 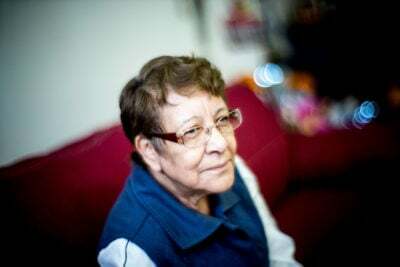 Maria Teresa Sánchez, 69, has spent years trying to figure out why the Zetas would have kidnapped her son, Ángel Montes de Oca, from the Holiday Inn. He was the fifth of her seven children; a 39-year-old chemical engineer who worked for a company that made cosmetics and personal hygiene products, like hand sanitizer. It was his first steady job, after years unsuccessfully trying to make a go of a small chain of shaved ice stores called Hawaiian Paradise. He had just gotten married, finally feeling financially stable enough to support a family of his own. And he had traveled to Monterrey for business meetings. 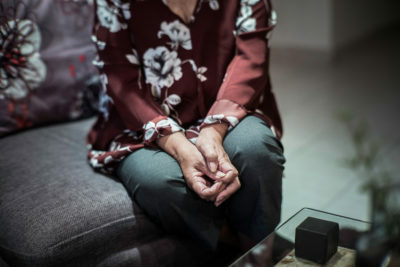 Her daughter, Beatriz Montes de Oca, a 44-year-old physician, said, “I was looking for some kind of common denominator among the victims that might explain why they were taken and others were not. Was it their ages? Was it something about their room numbers? Mexican authorities only added to the confusion, she said, with constantly shifting lines of investigation that never led anywhere, or even made much sense. 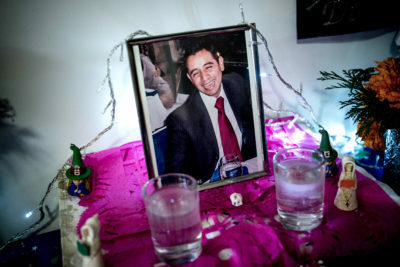 The authorities theorized that the kidnapping could be part of some twisted recruitment scheme, saying that the Zetas had been known to kidnap people with special skills, like accountants and computer programmers, then force them to work for the cartel or be killed. As more time passed, the police suggested that the attack was simply a way to demonstrate the Zetas’ strength to any potential rivals, and they warned the relatives of those missing that the mutilated bodies of their loved ones might appear dangling from a highway overpass or splayed in a public square. The one thing that never occurred to the two women was that the United States had played a role in what happened at the Holiday Inn. Current and Former DEA agents said the agency did very little to investigate what had happened at the Holiday Inn. Agents posted in and around Monterrey questioned their confidential sources without sharing the role played by the SIU. Officials said the informants either had not heard about the kidnappings or didn’t want to talk about them. The DEA had long suspected that authorities in Monterrey were taking bribes from the Zetas, and the audaciousness of the raid only hardened those suspicions. So, agents said, the DEA didn’t think it wise to discuss the incident with them. One current DEA agent blamed the crazy pace of events in Mexico at the time. The year of the Holiday Inn attack was the deadliest of the Mexican drug war. Top politicians and police were being killed indiscriminately. Massacres seemed as routine as robberies. The Mexican president at the time, Felipe Calderon, was struggling to keep his country on board with the effort, telling them the fight was costly but winnable. And the United States was preaching the same. Some current and former agents also noted that the Mexican government historically had not welcomed U.S. encroachments on its sovereignty, and may have resisted any DEA investigation. That argument seems less convincing when considering how aggressively the DEA has pursued Mexican criminals linked to killings of American law enforcement agents, like Jaime Zapata, who was shot to death in early 2011 in the Mexican state of San Luis Potosi. Under intense DEA pressure and direction, Mexican authorities had arrested the primary suspects in that murder, who were also members of the Zetas cartel, within 12 days. Earlier this year, some 14 Democratic members of Congress expressed their concerns about the DEA’s SIU program in a letter to Attorney General Jeff Sessions and Secretary of State Rex Tillerson. That letter was prompted by ProPublica’s reporting on the massacre in Allende, and by a report by the Justice Department Inspector General about a DEA-led operation in Honduras that left four civilians dead. Since then, current and former agents said, the DEA has made some moves to strengthen its oversight of the SIU in Mexico and the 12 other countries where the agency operates such units. For example, it has moved the SIU’s Mexico City headquarters closer to the American embassy to improve the DEA’s ability to oversee and mentor the members of the unit. Last week, the DEA distributed a 54-page SIU manual. Current and former agents said it marked the first time in the 20 years since the SIU program began that the agency had put rules for running the units in writing — including everything from what to do when a member of the unit fails a polygraph to how to disseminate sensitive information and handle operations in which members of the SIU are killed. Some current and former agents defended the program, pointing out that with corruption endemic in Mexican institutions, it’s naïve to think that the DEA, with random polygraphs and occasional training, could keep their SIU completely clean. And they noted that the unit had helped capture significant trafficking targets over the years. Reyes, they said, was a textbook example of the tangled complexities of Mexican law enforcement. Former drug traffickers who agreed to cooperate with the DEA told the agency as early as 2011 that Reyes had acted as a “bagman,” for the Beltran Leyva brothers, collecting millions of dollars in cash for himself and his bosses on the police force. The former SIU commander was known to own an exotic sports car and a sailboat on an annual salary in 2011 of about $80,000, according to an agent who knew him then. And his girlfriend, who was also a member of the SIU, made no secret of her penchant for luxury designer shoes and handbags. But the agents said they never had enough evidence to have Reyes arrested. And U.S. officials worried they would harm other important security programs if they asked the Mexican Federal Police Chief to fire such a prominent commander. Still, Reyes did some good while running the SIU. Most notably, he helped capture a kingpin known Edgar “La Barbie” Valdez Villarreal in 2010 — a major victory. Though that coup was later tainted when DEA received credible intelligence that Reyes was acting on behalf of the Beltrán Leyva cartel, which had offered him $1 million to get Valdez, its archrival, off the streets. An unopened DHL box contains all that Anabitarte has left of his best friend, Luis Miguel González. 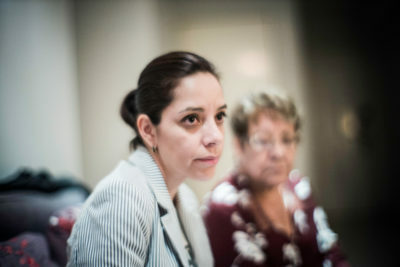 The box contained clothing and other personal items that had been left in González’s room at the Holiday Inn, and the hotel had sent it to the eyewear company after the kidnapping. The box had been left in a storage room at the company. Anabitarte had forgotten about it, until a janitor asked whether it should be thrown away. Coincidentally, a reporter called him that same day to talk to him about what happened at the Holiday Inn. 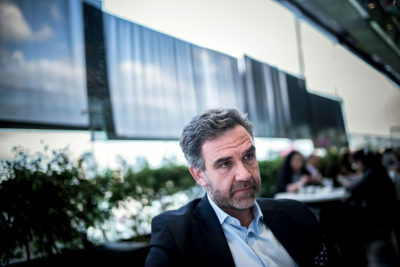 Anabitarte didn’t call back right away, reluctant to reopen a deep emotional wound and frightened that discussing the kidnapping might provoke those responsible for it. Weeks later, he agreed to meet, insisting on a public place. And he brought the box. 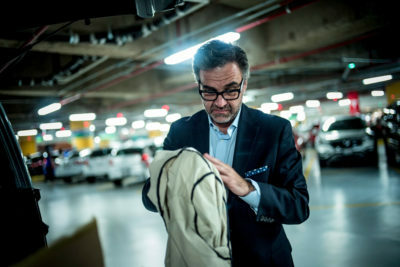 In an underground parking garage beneath a glitzy Mexico City department store, Anabitarte pulled the box from the back of his Land Rover. His hands shook and his eyes welled as he opened the flaps. He rifled nervously through the contents, as if he was wondering whether he was doing the right thing. He recalled that González was only 35 when he was kidnapped from the Holiday Inn. He had been enjoying a happy chapter in his life at that time, having ended a bad marriage and started a good one. He was expecting his first child, and doing well at the eyewear company. That, in the end, is why Anabitarte agreed to speak. He owed it to his friend, he said, to keep searching for the truth of what had happened.